Similarly, Moldova is shown to have invaded Poland. However, it was the Principality of Moldavia, not the modern state of Moldova that invaded Poland. Moldova did invade Poland as part of the USSR but by this logic all former Soviet States would have to be coloured red, which they are not. So while you can easily quibble with aspects of the map, the main point is that Poland’s not always has the best luck in European history. To get a better sense of their changing borders have a look at our map: Poland’s Territorial Changes 1635-Present – Life, Death & Rebirth. They didn’t occupy the terrain as a province, they were raiding it for slaves. 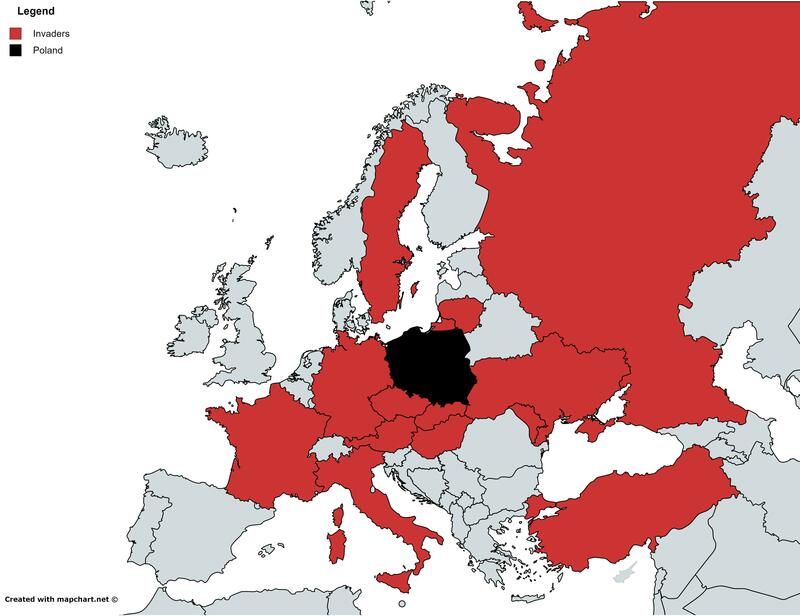 There must be other map to accompany this one: countries invaded BY Poland. Let me know if there is one, I can barely contain my curiosity about this. Polska najechała Czechosłowację? Po prostu – odebrała swoje Zaolzie. Warto znać historię swojego państwa. I thought we were quite good friends with the Hungarians. When did that happen? If Moldova is red as the part of USSR – why not Belarus? And why not coloured nearly all Balkans states as a part of Ottoman Empire invading Poland?